The time has come to say goodbye to a New York treasure, a man who embodied the well-traveled and experienced New Yorker of old, the one who seemingly knew every nook and cranny of the city and who occupied them and touched everyone he encountered with a bit of grump, a bit of wit and a bit of sage advice to keep them moving from one corner to the next throughout the day. And Preparation H. That’s the impression I always got when looking at his face. How it just carried a whole lot of everything behind it, processed it and gave you back a little piece of New York. Born in Brooklyn to Jewish immigrant parents, began a long and notable acting career as a teenager, appeared on Broadway quite a few times, including in one of my personal favorite plays (Marat/Sade, which I also acted in while in college), landed the role of a lifetime in an open call in L.A., made an even bigger impression a few years later with a role he’s become synonymous with, and lived life as sort of the unofficial ambassador of Fiorello LaGuardia’s New York, by his very presence able to link that era with the Wagners and Lindseys and Beames and Koches that followed. By the time Michael Bloomberg ascended to the throne, we looked back at all of this and remembered fondly the ugliness that New Yorkers endured to this point like a rich man who had climbed out of Hell’s Kitchen to dominate the skylines, and in the back of our minds we always wanted to know how Abe Vigoda was doing, and when you get home you’d go and look for that Timex you still have for some strange reason. Everyone was doing it. I suppose you never know when you might need it. 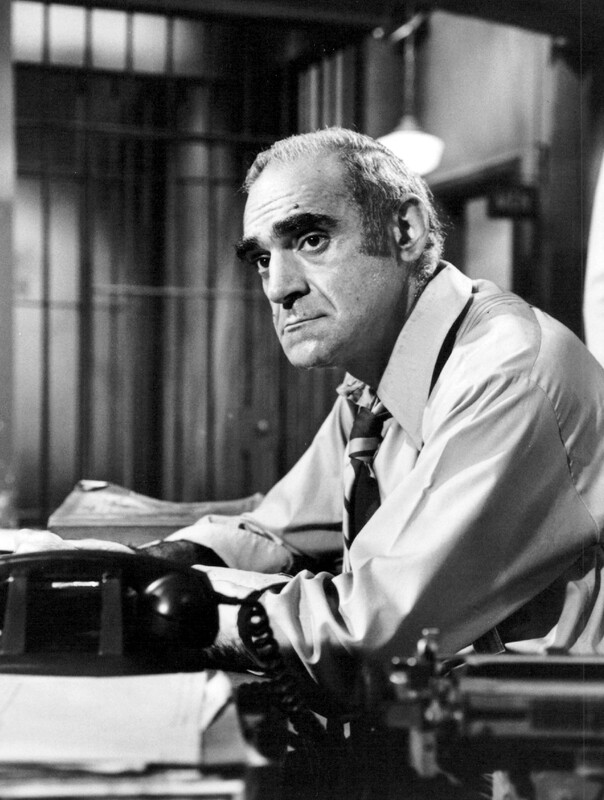 Well played, Mr. Vigoda, thanks for everything. Him and Jack Klugman; it's strange watching him play a young man in 12 Angry Men because outside of the dark hair, he looked almost exactly the same as Oscar Madison. Perhaps a tad thinner, but pretty much. "Tom can you get me off the hook, for old times sake? I saw him often enough on the Upper West Side where he lived. My brother Ben has a good Abe story. He's told it here before but I'll get him to tell it again. I don't remember where, for some reason I remember it being on second avenue near the old 2nd avenue deli, but more likely it was on the UWS. Walking down the sidewalk, I see Mr. Vigoda. And I get a lot of nerve up and approach him to say, "Mr. Vigoda, I really appreciated your performance in the Godfather." I shake his hand, and he says to me, waving at the car on the curb and the parking signs, "Thanks. Can I park here?" I looked at the sign and confirmed, yup, he could park there.